The preconceived thought process might be that Colorado is mainly a winter destination. After all, the state is famous for its skiing potential thanks to its dramatic mountain landscape. These mountains help create an array of terrains to suit all ski levels, and this terrain is covered by a plentiful supply of high-quality snow during those colder climates. However, as the title of this article highlights, there is more to Colorado than just winter-themed fun and activities. If you are visiting the mountain state during spring, summer or autumn, check out the following points about why you should be excited about your Colorado adventure. 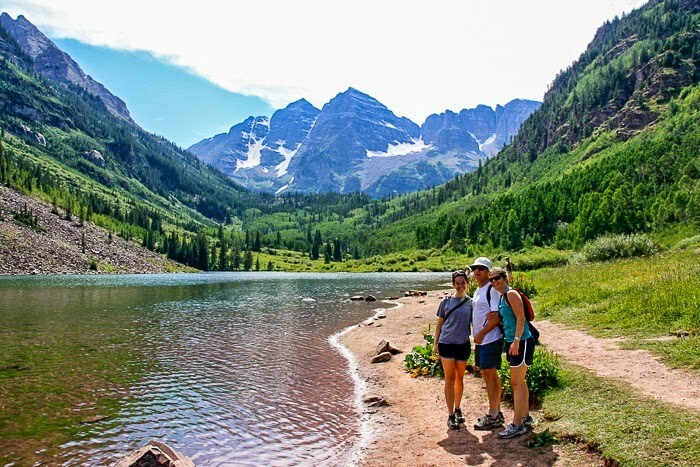 If you prefer warmer activities to those that take place in the snow and ice, you will love visiting Colorado in the summer. While its famous mountain range is ideal for skiing, it is also ideal for a variety of activities – most notably hiking. So whether you are in the Colorado Springs or the hidden gem that is Creede, most areas in the state benefit from a healthy collection of trails that will provide both a challenge and spectacular views. Hiking is only scratching the surface in terms of outdoor activities. Biking is possible throughout the state – with plenty of bike shops offering the convenience of dropping you off uphill as a starting point – while the rivers allow you to raft, paddle board and kayak during those summer months. As you should expect, a wide selection of annual events take place during the summer. For instance, the popular Snowmass Rodeo usually happens during June and August. This family-friendly, traditional event has taken place for over 40 years, giving visitors the chance to partake in rodeo-themed events, tuck into tasty barbecue food and more. Of course, this is only one example. The world-renowned Telluride Bluegrass Festival is a hit with fans of music, the Manitou Springs Colorado Wine Festival is the best way to sample various local wineries, and the Colorado State Fair throws together an exciting collection of entertainment and family-friendly activities. It doesn’t matter where you travel – when it is prime time for visiting, the accommodation options will be limited while prices will also often be higher. When taking that into account, and due to winter being the main enticement for tourists, you will always find it easier to find accommodation during other seasons – including summer – when in Colorado. As for what accommodation to choose, there are several options. That said, this site is great if you’re looking to reside in a condo in Snowmass for instance. As well as being able to choose the best location for your needs from the numerous choices available, these modern condos also supply all the features – including those extra touches of luxury – required for a short or long-term stay. Plus don’t forget, you have a better chance of staying in such a place when it’s not winter – an added bonus considering the upscale nature of Snowmass!